The first thing you will notice when seeing Froyo for the first time is a slight tweak to the home screen. 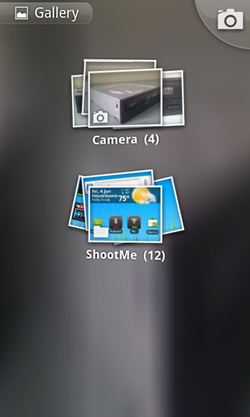 On Android 2.1, there was a grid icon at the bottom of the screen, which displayed all of your applications. This is now accompanied by dedicated phone and browser buttons, allowing you to quickly get to these functions regardless of what home screen you’re on. Users wanting 7 home screens, similar to HTC’s Sense UI, will be disappointed, as there are still only 5 offered by default in 2.2. In addition to the tweaked home screen, some changes have been made to the default widgets that were offered in Android 2.1. The Google search widget now allows the user to not only search the web, but also their apps and contacts directly from the widget. When placing the widget on the home screen, you can choose to dedicate it to searching either the web, apps, contacts or all three. It’s a great addition to have, and allows you to search the market for apps without having to open the Market application first. 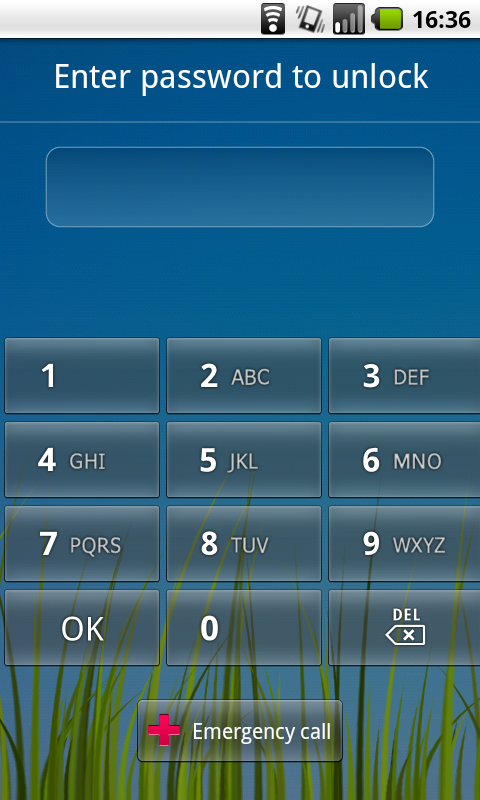 The Power Control widget has also been updated, albeit with only a minor change. When changing the brightness using the widget, you can now set it to automatic, as well as low, medium and high brightness. As I use automatic brightness myself, I’ve certainly found this to be a lot easier than having to root through the settings menu each time I want to change my screen brightness back to automatic if I’ve manually changed it. 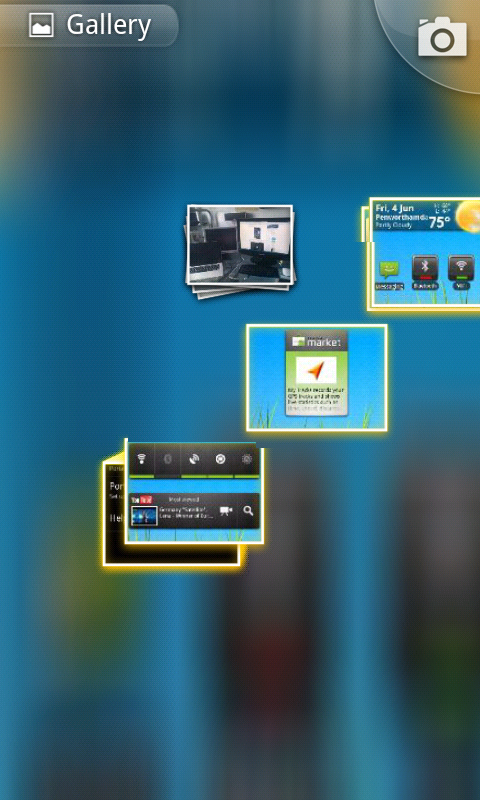 Finally, the YouTube widget now shows the most viewed videos which can be tapped to view. Also, you can use the search button which takes you to the YouTube search screen, as the widget did in 2.1. The camcorder button opens the video recorder, allowing you to quickly record a video. 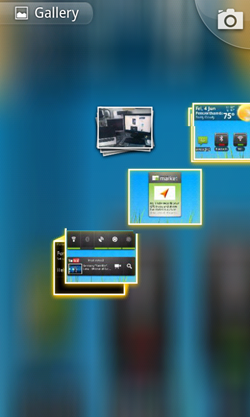 As well as the changes made to the existing widgets, three new widgets have been added. The first of these is the home screen tips widget, which places a little android on your home screen and does just what it says on the tin: provide six quick tips for users new to Android. The second addition is a Latitude widget, which provides information about Latitude without you having to open Maps. 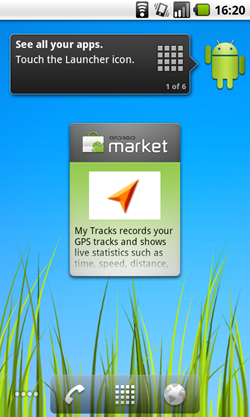 The third new widget offers a shortcut to the Market, and shows a number of featured applications in the widget, which you can tap to view in the Market. 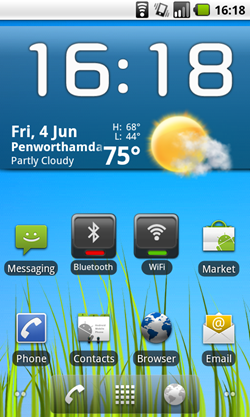 Alternatively, you can tap the grey area of the widget to be taken to the home screen of the Market. 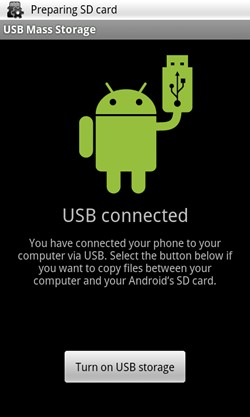 One of the most exciting new features in Android 2.2 is the ability to tether your phone to your computer out of the box. 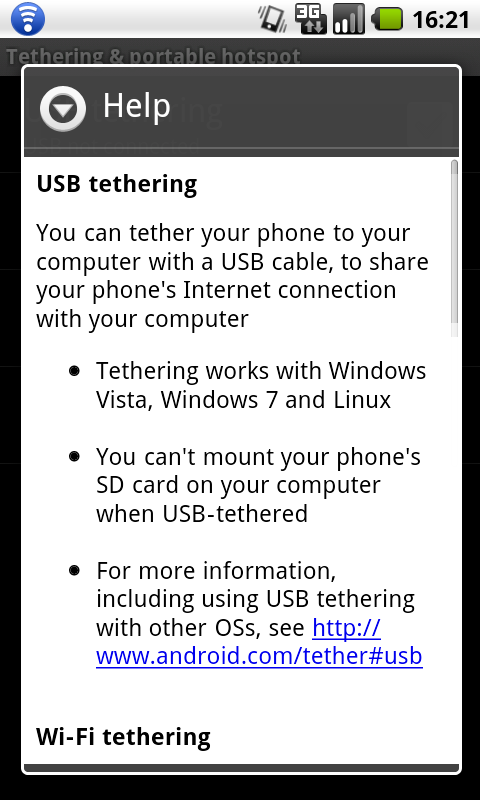 Until now, I’ve always used Wireless Tether for my tethering needs, but to do this you need a rooted phone. For users to be able to tether their phone without rooting or installing third party applications is a great feature, although it’s yet to be seen how carriers will react to this. To tether your phone in Froyo, simply navigate to Settings > Wireless & networks > Tethering & portable hotspot to configure your settings. You have the choice to tether via USB or turn your phone in to a wireless hotspot, so any device with Wi-Fi can connect to your phone. If you’re a Mac user, you’ll have to use a portable wi-fi hotspot, as only Windows and Linux users can use USB tethering. 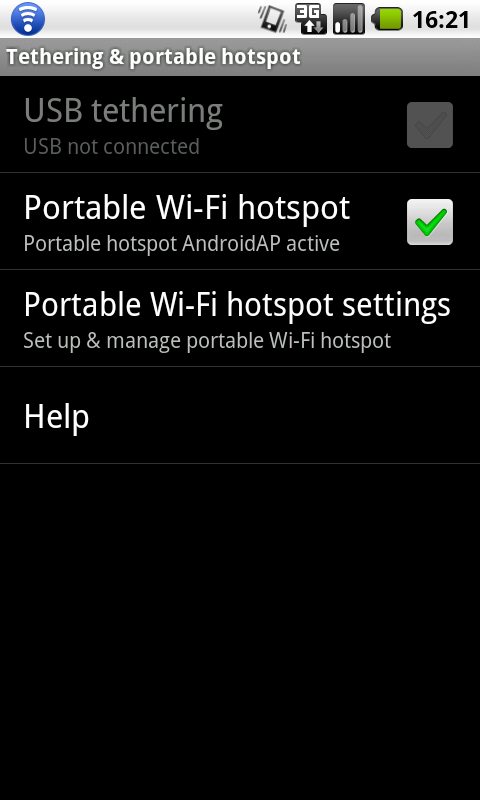 One concern I had over wireless tethering was security. By default, the wi-fi signal is open, meaning that anyone can connect without a passkey. 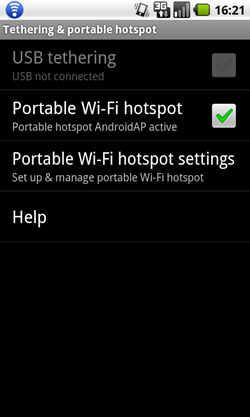 You’ll want to change this before tethering to any device by tapping ‘Portable Wi-Fi hotspot settings’ and creating a WPA2 security key. 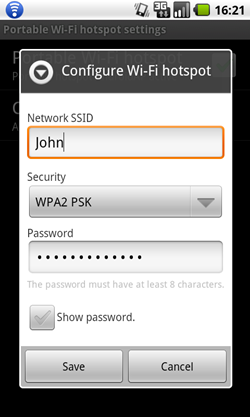 This is really simple to set up, so any user will be able to do it without knowledge of wireless security protocols. A feature that mobile users have been longing for since the release of the original version of Android is support for Adobe Flash. 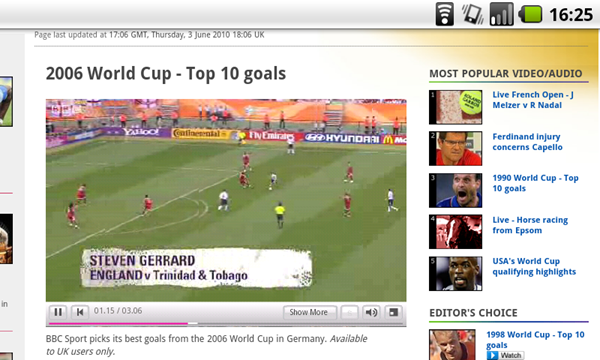 Sure enough, Froyo has provided just that, enabling Flash content to be played within the Android browser. This is still in Beta, so everything isn’t perfect as of yet, but it’s certainly a step in the right direction, and great to have if you’re without a notebook or desktop computer. When viewing Flash content in the browser, navigation is a little sluggish, sometimes making it difficult to navigate Flash-enabled web pages. Although it’s usable, I look forward to future updates which will hopefully make the experience a more enjoyable one (besides, who doesn’t want to see England’s World Cup goals on the BBC website?). A number of subtle, but great, changes have been made to the Android Market in Froyo, which makes it a lot easier to manage your applications. The one feature that I most wanted to see in 2.2 was the ability to update all of my applications in one tap, instead of having to manually upgrade each one of my many apps. Not only has this been implemented, but you also have the choice to auto-update applications too, so whenever a new version is available, it’s automatically pushed to your phone without you having to tap a single button. The application description is also split into two tabs: ‘About’ and ‘Comments’. Another great feature addition in Froyo is the ability to install applications to the SD card, a must have feature for users with hundreds of applications installed. Hopefully, we’ll see some larger games in the Market as a result of this too. It’s up to the developers to add the functionality to their applications, so hopefully most will choose to do so. An update to the Camera application in 2.2 has seen some interface tweaks implemented, making the camera easier to use and more functional. Tools have been added to the side of the screen when taking a picture, making them more accessible than before. 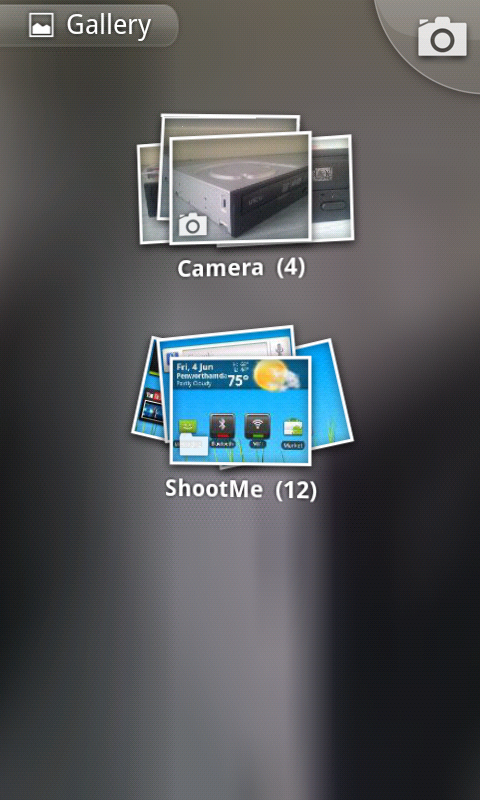 Tapping on the icons displays a pop-out menu, allowing you to change settings such as exposure. Also, the icons rotate as you rotate the phone around, so you can always use the icons no matter how you’re holding the phone. Changes have also been made to the video camera, with controls also present on the screen whilst taking a video. Also, you can now use the flash when recording a video, so you can record in the light and dark. As well as the changes made to the Camera app, the 3D gallery has also been given an update. Although many of the changes in Froyo are behind the scenes, the Android development team have added some really cool eye candy the already great 3D gallery by adding a feature that allows you to peek into picture stacks with a zoom multitouch action. 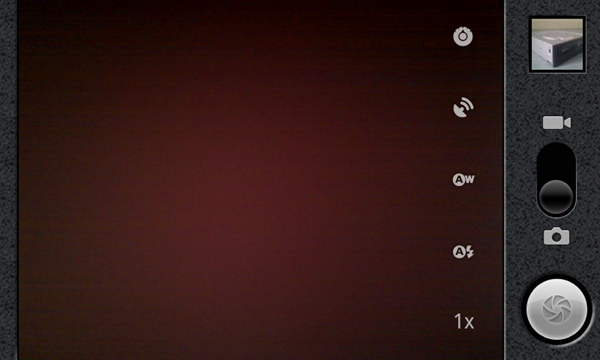 Admittedly, it’s not a feature that’s going to be used all the time, but it looks great and really shows off the capabilities of the Snapdragon processor in the Nexus One. I was amazed at how smooth the transitions were when I saw my stack of photos fan out on the screen. You can also change the direction of the peek if you drag your finger across the screen. 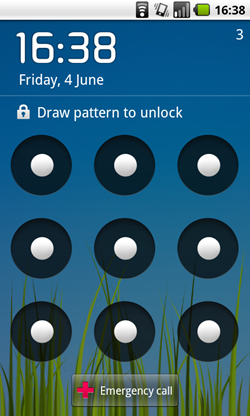 Although it was interesting to try out the new pattern lock in Android 2, I really wanted to be able to enter a PIN to gain access to my phone again! Luckily enough, that’s exactly what Froyo allows you to do. 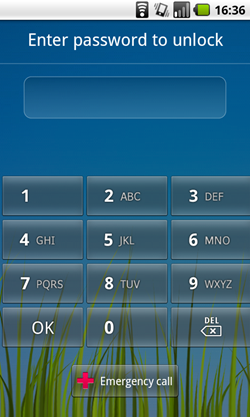 You have the choice of entering a pattern, PIN code or password to access your phone. Being given the choice is great, but I found that entering a password on the keyboard every time I switched on the screen tiresome, so I’d recommend users to use either a pattern or PIN code. In Android 2.1, when you connected your phone to a computer, you were prompted to mount the SD card if you wanted to transfer files via USB. By default, I’ve noticed that Froyo automatically mounts my SD card without offering a prompt, but if you want to disconnect the SD card from your computer, you can turn off USB storage from this friendly screen. 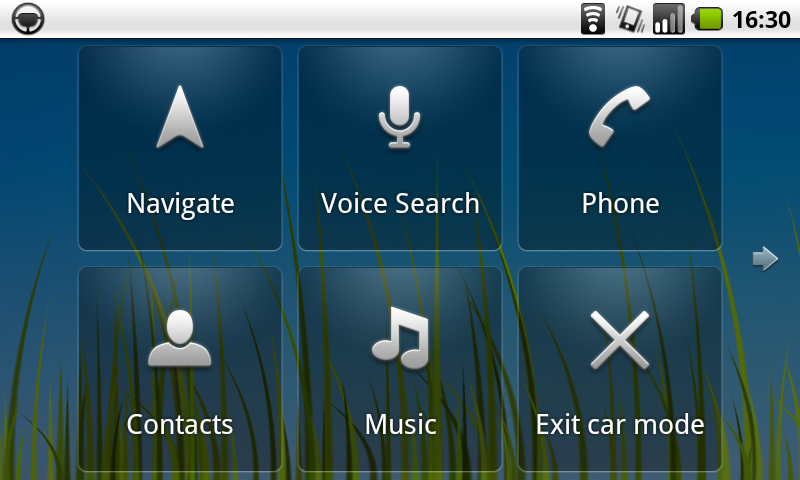 If you use Android 2.2 with a car dock, you’ll notice that Froyo comes with a new look Car Home application. Instead of the diagonal spread of icons, you’re presented with a grid of icons which allow you to access your phone, contacts, music and other features easily. When using it myself, I’ve found it a lot easier to manage. Also, if you have the Nexus One in a car dock, the main home screen will also rotate, which makes it a lot easier to see what you’re doing without reading sideways! With Froyo coming with so many changes, there’s bound to be more features hidden around the OS. If I’ve missed any big ones, let me know in the comments! If you’ve not used Froyo yet, hopefully you now have a better idea of the changes that have been made since Android 2.1.